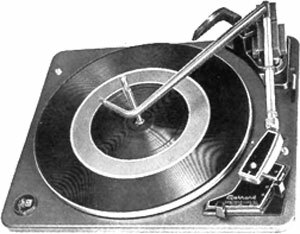 The Garrard SL 55 is fitted with a steel platter and a Garrard Synchro Lab motor. The Synchro lab motor uses induction principles to attain running speed; at that speed a magnetic element then locks the rotor so that it runs synchronously with the frequency of the power supply. The motor can be supplied to run on 110/130 volts only or for 110/130 and 220/250 volts AC. The latter version is fitted with a voltage changeover block attached to the motor. Garrard SL 55 / SL-55 owners manual, service manuals and schematics are for reference only and the Vinyl Engine bears no responsibility for errors or other inaccuracies. The PDF files are provided under strict licence. Reproduction without prior permission or for financial gain is strictly prohibited. This website is not affiliated with or sponsored by Garrard.